In Rehabilitation Center we are able to offer high level medical services, excellent functional. 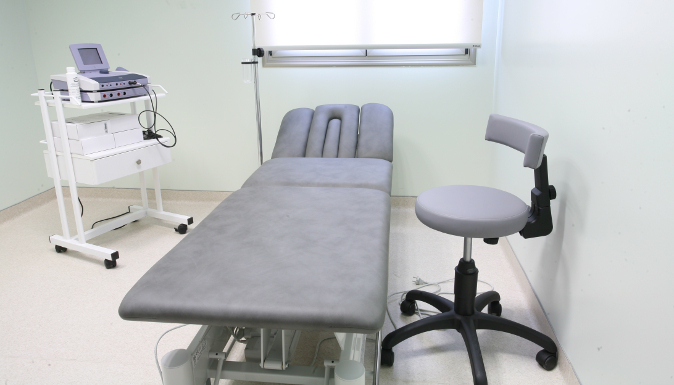 Our medical services are provided by our highly trained staff, in a patient - friendly environment and fully equipped with appropriate modern medical infrastructure. Medical services are provided by a team of two experienced physiatrists, physician, neurologist, psychiatrist, cardiologist, anesthesiologist, a general surgeon and microbiologist. All patient rooms are equipped with oxygen and vacuum devices. There is a room in the ICU, which is fully equipped with devices for 24-hour monitoring of vital signs of patients. Simultaneously our Center provides the necessary infrastructure and appropriately qualified personnel to treat medical emergencies. Center's ambulance is equipped with the necessary equipment for safe patient transport. Holistic assessment of each patient's problem. Preparing a full rehabilitation program focused on the individual requirements of each patient's disease. Continuous medical assessment and intervention throughout patient's Rehabilitation. Treatment of spasticity and / or cystic disorders. Using special aids to restore patient's mobility - functionality, which dramatically improves autonomy in his condition.